WHAT I SMELL: Dior Diorling opens green, dry, mossy and quite powdery. It has a vintage feel, but at the same time feels easily modern. I can’t tell if the top notes are somewhat lost, but the florals are incredibly well blended. They’re deep, rather beefy and they feel very structured and firm. As with Miss Dior, Diorling is pretty in a rather masculine fashion. That’s what I love about these old classics, they are allowed to be feminine without resorting to sweetness and fruit. The hyacinth and iris are the anchors here and combined with the moss they make for this powdered haze of sophisticated beauty. Then add this light punch of leather to the base and you’ve got the perfume wrapped up. There’s not a lot of development here, (although the lily of the valley pokes it head out ever now and then), but it does soften and becomes somewhat like a perfumed Angora sweater. Overall from the beginning to the end (and it lasts), you have a classic chypre at its best. Top notes are hyacinth and bergamot; middle notes are iris, jasmine, rose and lily-of-the-valley; base notes are vetiver, musk, patchouli, oak moss and leather. WHAT IT SMELLS LIKE TO ME: Peanut’s Pig-Pen. OK, to explain myself…take away the dry dusty dirt and replace with a dry dusty mossy cloud. Besides, the perfume has a very 1960’s vibe about it which was the heyday of the Peanut’s era. See it all makes sense now, right??! BOTTOM LINE: Ridiculously expensive on eBay, I found this beauty for a great price and snatched it up. So there was a little chip on the stopper and the stopper was stuck (we perfumistas know how to conquer that! ), but the perfume is divine! I don’t think it will ever live up to my love of Miss Dior, but I get giddy every time I put this on because it’s just that good! Expense: Varies greatly. Review based on the parfum extrait version. Categories: Dior | Tags: 4 bones, chypre, Dior, Diorling, fragrance, parfum, Perfume, Perfume Review, review, vintage perfume | Permalink. Recently I’m more and more drawn to classic scents. I wonder why. I’ve never sniffed this one but, oh gosh, hyacinth and iris? Lily-of-the-valley? All the things I love are there. I was completely floored by the price listed on eBay though!! Ah yes, the price is over the top. Which to me says that there are few bottles in circulation. But it is a dream of a classic perfume. Steve, I’m flabbergasted. 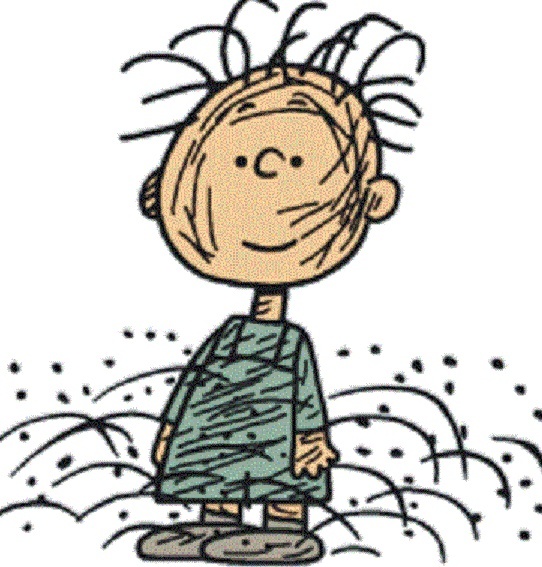 Just last week I was trying to sum up a fragrance and what came to mind was Pig-Pen. I’m not sure, but I believe I was thinking of Silences, which I can’t describe for the life of me. I thought myself rather strange, so imagine my astonishment and delight when I scrolled down this morning to find him right here! I’m sure I have a sample of Diorling floating in the Sample Sea. It sounds lovely, so I have something to look forward to! LOL. I have no idea why Pig Pen popped up in my head… maybe you were sending me vibes across the miles??! 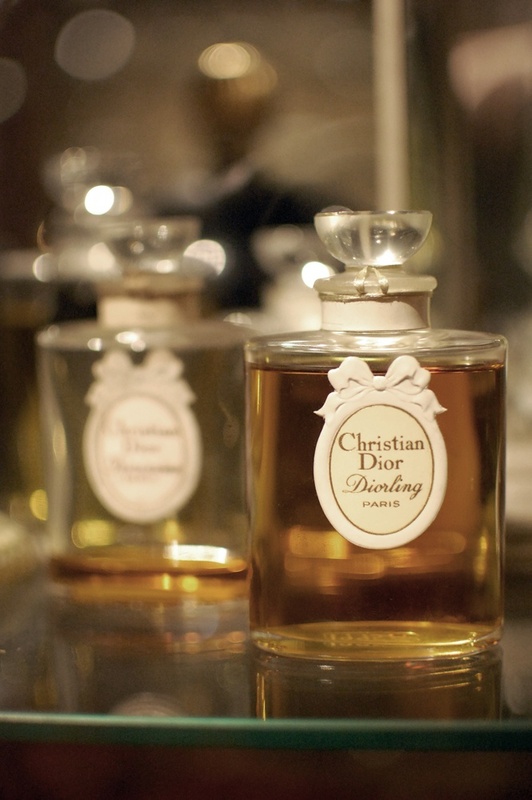 A couple of years ago I got a tiny sample of Diorling from another perfumista, tried it and absolutely loved it. For some reason I thought that she had a bottle of it and tried to buy a decant from her (she didn’t, it was just a sample she passed onto me). Then later I bought a small bottle on eBay but it wasn’t as good as the first sample. With those prices I decided not to experiment any more. Have you tried a modern version? I have not…does it live up to the vintage?